This project aims to ensure that children and their families in the isolated region of Sershul have access to a healthy diet. The project that Humanium is helping to implement aims to bolster food security in a sustainable manner and to overcome the nutritional deficiencies of Sershul’s inhabitants. Indeed, the majority of the population lives below the poverty line and cannot afford a diet rich in vegetables because of the cost. However, vegetables are essential for children’s development, and inadequate vegetable intake can cause serious consequences, such as a weakening of the immune system. Children then become extremely vulnerable to diseases. 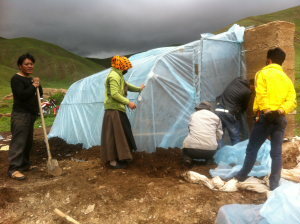 Fortunately, there is a solution to this problem: greenhouses. 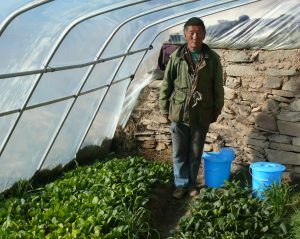 These allow vegetables to be grown in Sershul despite its very harsh climate, including sub-zero temperatures for 7 months of the year. 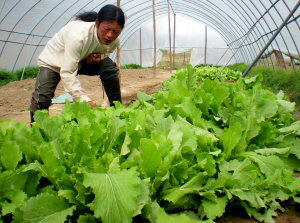 This means that the villagers will be able to access vegetables at reasonable prices from community greenhouses. 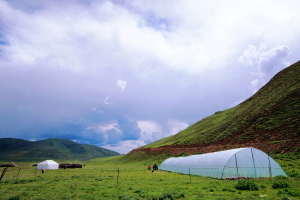 Our partner, Norlha, also plans to build 10m2 private greenhouses that will give families the opportunity to grow vegetables both for their own use and for sale. In addition to this, the creation of markets assures an income for producers and significantly increases the number of beneficiaries of the project.